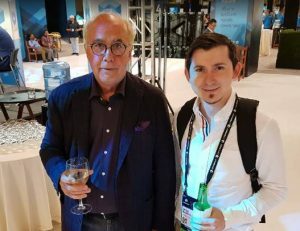 In another exciting commitment to redefining backup, recovery, the cloud and data management solutions for our clients, the Perfekt Team, represented by Perfekt’s Senior Integration Specialist, Serge Bakharev, (pictured with Al Bunte. 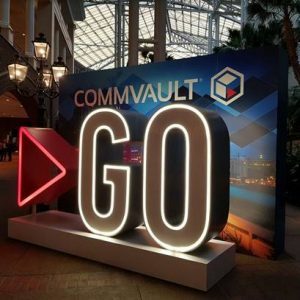 Chief Operating Officer, Commvault) attended Commvault GO 2018, in Nashville, last week. “This was an exceptional opportunity for Developers and Masters to get together, share, discuss and collaborate on all things backup, archive, recovery and the cloud” said Serge. “GO 2018 provided an incredibly content-rich environment for us to discuss urgent and important data protection and management challenges, best practices and learning of new innovations to take back and share with the team and our clients. Keeping on the cutting edge of versatile technology and solution offerings to our wide client base is exceptionally important to us. Staying at the forefront not only helps us discover how to leverage new innovations to but also give us the tools to implement powerful data backup, archive and recovery strategies that yield sustainable competitive advantages in today’s dynamic digital economy. Our goal is always to dramatically simplify, as well as significantly focus on our clients’ operational and business outcomes”. Find out why it’s an exciting time at Perfekt!